Oskar Sundqvist scored his first two career playoff goals in the first and second periods. 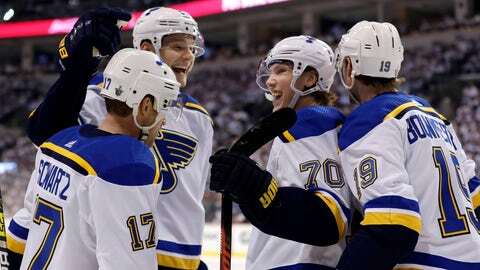 WINNIPEG, Manitoba — Sure, the Blues have a 2-0 series lead after road victories against the Jets. Pat Maroon and his St. Louis teammates refuse to feel anything close to satisfied.